Best Replacement Shocks for Toyota Tacoma Reviews: Top 5 in April 2019! Best Replacement Shocks for Toyota Tacoma – Buyer’s Guide! There are many types of aftermarket shocks, but the ones you want to get to maintain your vehicles preperformance are OER standard replacements. These will not deliver any changes to the way your vehicle handles itself and will essentially be a new identical OE shock replacing an old one. If you do intend to buy a slight upgrade, one that is OE compliant but can deliver slightly improved performance, remember that there are many options to choose from, and you must not mix shocks up. 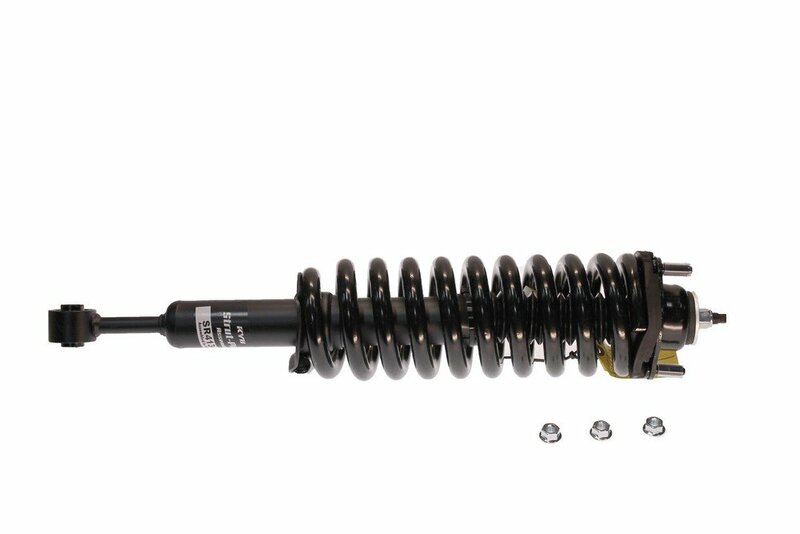 Keep all your shocks the same for a balanced and safe ride. 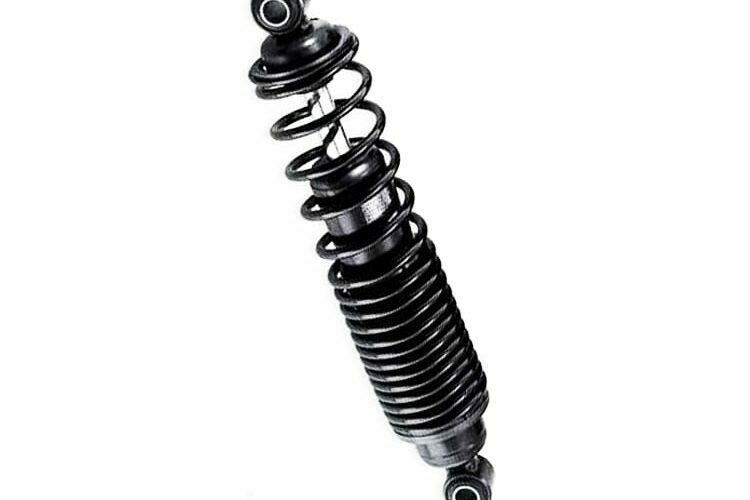 A coil spring shock combines a shock absorber with a spring coil; these are common in car raising, as well as provides a certain amount of help from the shock to the suspension, which is not the job of the shock but became an aftermarket addition with evolving design features. Gas-Charged Shock is the third group; these are hydraulic fluid chambers that are charged with nitrogen gas. 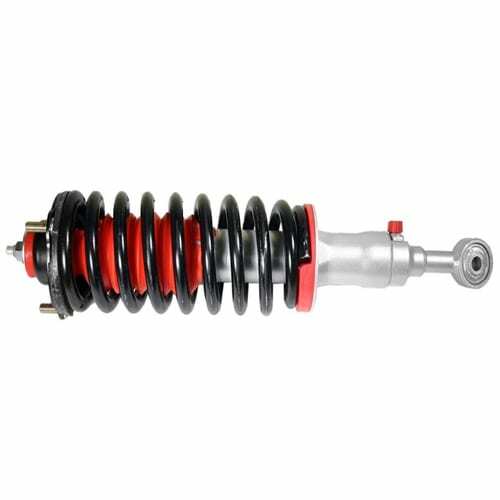 These are high-performance shocks, and they prevent oil from foaming which is a major dampening power reducer in standard pneumatic shock models. Now I present to you the top 5 Toyota Tacoma shock absorbers on the market today, these are OE replacement shocks. The Gabriel® Ultra ReadyMount™ Front Driver Side Fully Loaded Twin-Tube Strut Assembly #G57133 is a perfect replacement part for the OEM strut. This part has been perfectly engineered and designed to deliver OEM exact performance. These structs come with the upper strut mount, strut bumper, strut boot, coil spring, spring seat and each one includes advanced G-Force™ Technology. The strut itself is made of a Super-finished chromed piston rod coating that is designed to prevent corrosion, and also provides proper seal lubrication over a consistent wear surface. This one-piece pre-assembled Strut saves up to 1.5 hours from conventional installation times. The KYB® Excel-G™ Front Driver or Passenger Side Twin-Tube Strut #341340 is a replacement part for all Toyota Tacoma struts. This is a perfect replacement made to deliver exact performance and tolerances that a standard OEM vehicle provides. This model is nitrogen gas-charged and comes with a twin-tube design. The final product is constructed with every quality component that global OEM products provide. The Excel-G™ is made of a seamless working cylinder and has a Teflon coated piston band, these two works in cohesion providing a perfect and positive seal for longer life. Add to this the triple chrome plated piston rod, when combined with the multi-lip oil seals; you end up with a smooth and silent performance that is enhanced by the solid, seamless mounting eye rings and bolt bushings. The KYB® Strut-Plus™ Front Driver Side Twin-Tube Complete Strut Assembly #SR4134 is an OE replacement part that restores your Tacoma to its original ride, handling, and control capabilities. This part does not need a spring compressor and comes ready to install. The core of this assembly is the twin-tube gas Excel-G Strut at the heart of the assembly and is designed to match OE quality and performance. The KYB® Strut-Plus™ Front Passenger Side Twin-Tube Complete Strut Assembly #SR4130 is perhaps their leading and one of the world’s top Toyota Tacoma replacement parts. This kit comes fully assembled and does not need a spring compressor. This model comes with a new and improved coil spring; which is custom tuned to deliver a very corner-specific ride height. The OE quality bearing plates and the OE quality insulators optimize steering smoothness, provide quiet operation, and add to the proper front end alignment. This model comes with a new polyurethane boot, and travel-limiting bumper protect which is the KYB proprietary model that protects the highly polished chrome strut shaft from all corrosive substances and impediments. The Rancho® Loaded quickLIFT™ Front Driver or Passenger Side Twin-Tube Complete Strut Assembly with 2.5″-3.0″ Front Lift Height #RS999915 is a little bit more than a standard OE replacement part. This one comes with Rancho® quickLIFT™ Loaded assemblies that make this unit give your Tacoma an aggressive stance. With this addition, you can add a larger wheel and tire package, and save on replacing a complete suspension system. These parts use a twin-tube internal design and are easy to install, they come with pre-assembled with coil spring and upper mount, and they level the front suspension and remove the factory rake. You can clear up to 35” tires and create that custom look. You also get 9-position tuning technology that makes for a very easily adjustable ride per road and off-road application. 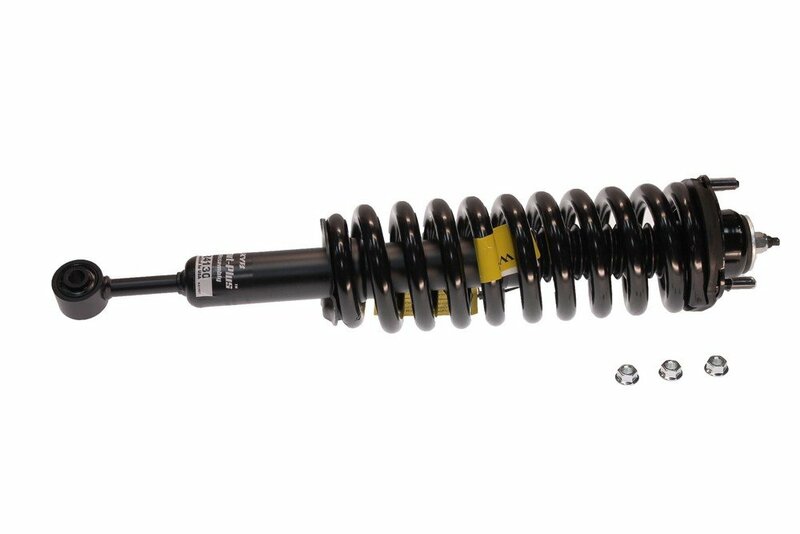 As with all mechanical parts, shocks have a life expectancy, and their life expectancy changes with the conditions of the driver’s capabilities and demands. The best way to find out if its time to replace your shocks is to do the 10mph bounce test. This test is performed by driving your vehicle up to 10mph and then hitting the brakes hard. 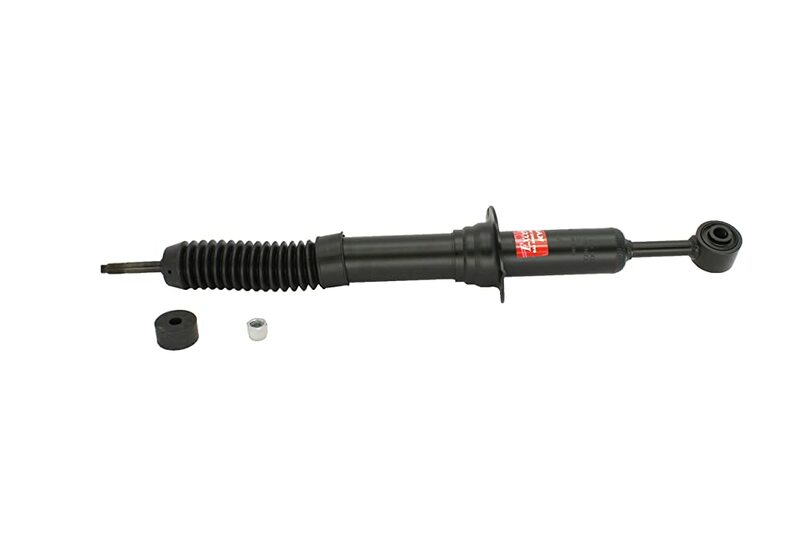 If your vehicle bounces, you need to replace your shocks. Even without performing this test, you should check your shocks regular for dents, cracks and seal/gasket leaks. In general, the rule is simple, replace your shocks immediately, all four of them, when one is damaged. You need to maintain cohesion and balance, so when one goes, it’s best to replace all of them. Also, consider changing your shocks to suit your needs. If you don’t intend to have your shocks replaced in a mechanics garage or by a professional, unless you are one, then you should know that replacing them is not rocket science and you can replace your own shock easily. All you need is a clean place to work in, a few tools and patience. Step 1: Buy the right shocks that are designed for your vehicle and also make sure you buy the ones that will suit your specific requirements. Step 3: Prepare your industrial style jacks to prop up your vehicle safely and securely, and prepare your tools for easy reach. Step 4: prop up the car, and consider that You might want to remove the wheels for better access. Step 5: Loosen the current shock mounting hardware using a socket wrench. Next, look for the spinning piston rod when you remove the upper mount, anchor the piston rod with vice grips. Step 6: Pry out and remove the old shocks. Step 8: Install the new shocks into place, follow the manufacturer instructions. Step 9: Lower the vehicle and test the performance of your new shocks. How To Clean Up Your Engine? How to Pick a Truck Tool Box?